Have You Voted For The Best Workout Song of 2018? March Music Madness is happening now! Vote today. What song gets you hyped up in the gym? We asked 16 celebrities, athletes, fans of the brand and Gold’s Gym members to nominate their favorite workout song and charity partner. 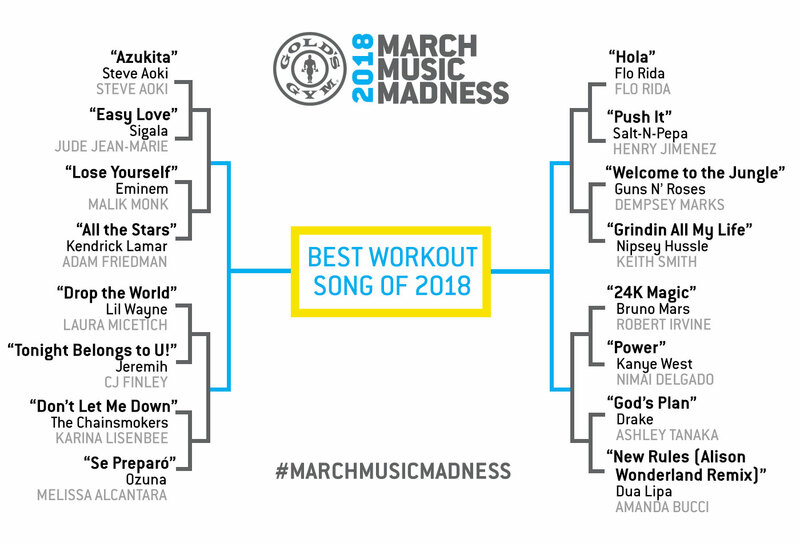 Now it’s your turn to vote — and keep voting until April 2 to determine the Best Workout Song of 2018. (Vote as many times as you want!) Gold’s Gym will donate $5,000 to the charity chosen by the winning song’s nominator.